How we can better support our diverse caseloads? This means supporting the communication needs of students and clients of color, those exposed to two or more languages, and members of the LGBTQ+ communities. When supporting diverse populations, I find carrying out out the following two activities prior to speech-language treatment yields positive outcomes. Second, acknowledge factors contributing to a student or client’s interplay with society and social justice. These factors include skin color, socio-economic status, language of use, experience, and perspective. Honoring these differences—and subsequently empowering students’ or clients’ unique narratives—builds esteem and communication skills. 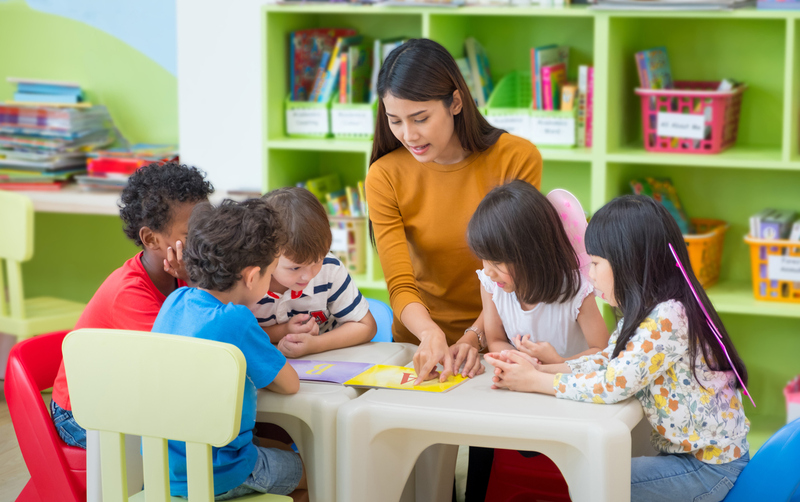 Speech-language pathologists create a complex interplay among treatment, relationships with our students and clients, and acknowledgement of the client/student narratives and experiences. Books and stories offer a variety of ways to incorporate these approaches and provide intervention for my diverse caseload. Literacy-based interventions provide a natural, all-encompassing method of addressing language and speech goals, building relationships through stories and honoring the social justice components of the student/client. Connect to experience: Robert Marzano, an educational researcher states, “What students already know about the content is one of the strongest indicators of how well they will learn new information relative to the content.” You can bridge this gap by taking the time to connect the book to their lives. Two easy ways to make that connection include using the front cover illustration to ask questions (for example, “Have you ever had a treehouse?”) and showing short videos about the content (“Let’s watch this video about a farmer”). Represent diverse narratives: Select books representing diverse narratives. I’m using “Julián is a Mermaid,” a wordless book by Jessica Love, with my school-aged students and clients. For my older students and clients, I use Ellen Oh’s “Flying Lessons,” a compilation of short stories by diverse authors. Value home language: Support families in reading and speaking their native language at home. We often hear, “Am I confusing my child by speaking and reading to him in my native language?” The answer? A resounding “no”! The truth is that the number of languages a child speaks does not contribute to communication deficits. What is important is the complexity of the language used. If we ask parents and caregivers to interact with a child in a language undeveloped and foreign to them, the child’s communication will not grow sufficiently. However, if parents and caregivers provide a great language model, the linguistic abilities will transfer from one language to the other. If you’re attending ASHA’s 2018 Convention in Boston next week, you can learn more information on how to use literacy-based interventions and considerations for speech sound disorders with diverse populations. Join me and Christina Gildersleeve-Neumann for the SIG 14 Short Course: Intervention Strategies for Multilingual Children with Language or Speech Sound Disorders: A Tutorial. Roseberry-McKibbin, C. (2018). Multicultural Students with Special Language Needs, 5th Edition. Oceanside, CA: Academic Communication Associates. Schraeder, T. (2016). A guide to school services in speech-language pathology. San Diego: Plural Publishing. Justice, J. M. (2006). Clinical Approaches to Emergent Literacy Intervention. San Diego, CA: Plural Publishing.